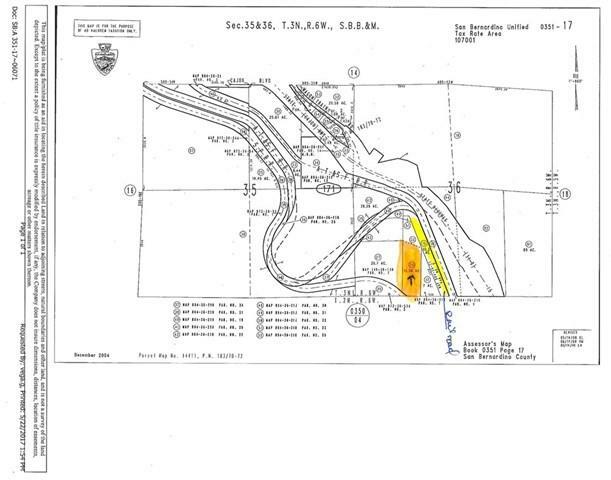 This property is zoned RC ( Resourse Conservation) and is in unicorporated area of San Bernardino County.Come check it out and all it has to offer! Make your Dream Reality!It is easy and convenient to get to 15 and 215 Freeway, shopping, Malls, Restaurants ect.Property has possibilities! Outdoor recreational activity such as : A RV park, paintball area, ATC, dirt bikes. Picnic area, dog or wild animal sanctuary;Veterinarian clinics/kennelsprimitive campgrounds, Bring your Vision today! Buyers should verify with code enforcement, planning and zoning on current requirements for use.